September is Orlando’s Magical Dining Month where the best restaurants around the city are showcased with a featured three-course, prix fixe dinner menu for just $35 that includes an appetizer, entrée and dessert. Taking a look at the list of restaurants here, you really can’t go wrong with any of the restaurants that are listed as far as a great night out with a great meal, but if we had to choose, below are the restaurants that would be at the top of our list to try if we hadn’t visited any of the restaurants offered. In the city of Maitland, Luke’s Kitchen and Bar features great American Cuisine. 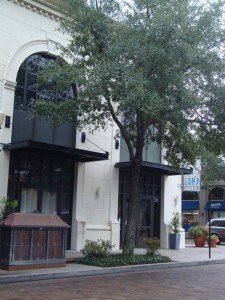 In the Thornton Park neighborhood of Downtown Orlando, Soco also features great steaks and other American Cuisine. On Orange Avenue in Downtown Orlando is the artful The Boheme. In South Orlando, Le Coq Au Vin is one of Orlando’s oldest and best overall restaurants serving fine French cuisine. In Winter Park, put on your best and dine at Luma on Park. In Dr Phillips along Sand Lake Road, Morton’s The Steakhouse serves some of the best steaks in the Restaurant Row area of Orlando. On International Drive, check out the new Del Frisco’s Double Eagle Steakhouse. Several restaurants at Disney World are participating this year including STK at Disney Springs. Magical Dining Month in 2018 kicks off early beginning on August 24th, 2018 and ends on September 30th, 2018. Click Here to find out more about Orlando Magical Dining Month. Click Here to view all participating restaurants. Tell us your picks and selections in our comments section below. This entry was posted in Restaurants and tagged annual events, august, best of orlando, downtown orlando, dr phillips, labor day, maitland, october, orlando, september, thornton park, winter park. Bookmark the permalink.